Extending my previous work, this paper explores the effects of opening and closing food retail stores on nearby housing prices in Durham, North Carolina. While the opening of a new grocer provides nearby residents with increased access to food and other goods, the full economic impacts of new stores are not always clear. In particular, there is often resistance to larger retail stores like Walmart being opened in a neighborhood, with arguments that a new supercenter will negatively affect local businesses and wage levels. Additionally, increased traffic, crime, noise pollution, and so on are also potential concerns regarding new stores. As such, it is not apparent how, if at all, new stores affect nearby home prices. Changes in housing prices can be used as a signal to evaluate these various competing effects and so the results of this study will help Durham residents and government officials evaluate whether to support or oppose new stores in their local areas. Pope and Pope (2014) examined the effects of opening a Walmart on nearby home prices from 2000 to 2006, and this paper will use a similar framework to their study. Using a difference-in-differences specification, the authors found that houses located within 0.5 miles of a new Walmart saw an increase of 2-3 percent in sale price in the following two and a half years, and houses 0.5 to 1 mile away saw a 1-2 percent increase. These results would suggest a positive impact for new stores in Durham as well, though the authors are careful to note that their results only reflect a national average. Publicly available home sale data for Durham extends ten years back (to 2005), so this study will analyze store openings and closings that have occurred in that time frame. This includes Walmart, Harris Teeter, TROSA Grocery, ALDI, and Save-a-lot stores. Stores like Target and Food Lion are not included in the study because their newest stores were opened 2004 or earlier. This paper analyzes data provided by the Durham County Tax Administration on home sales in Durham, NC. 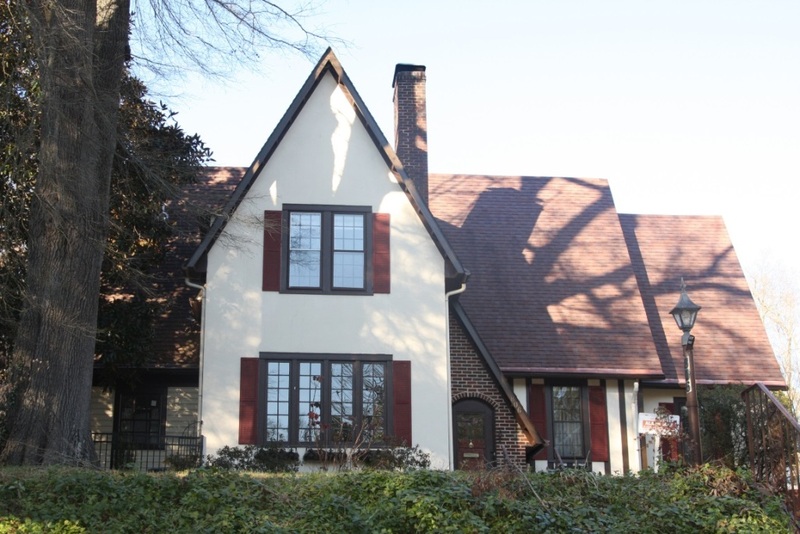 Through the county’s online record search, I collected the electronic summary record of each single-family residential home sale in Durham since 2005, the earliest year for which data is provided. These searches yielded approximately 27,000 results, and an Excel VBA macro was used to access the details page for each sale and record characteristics of the property (bedrooms, bathrooms, and so on). This data were filtered to remove a small number—around one percent—of entries with incomplete information. Next, I used the Rest-CSV interface provided through Geocoder.us to find the longitude and latitude of the homes in the dataset. A macro was written to query the Geocoder.us servers and record the geographic coordinates for the homes included in the service’s dataset. Geocoder.us uses TIGER/Line street and highway information provided by the US Census Bureau from 2004, and as a result, not all the addresses were able to be geocoded. 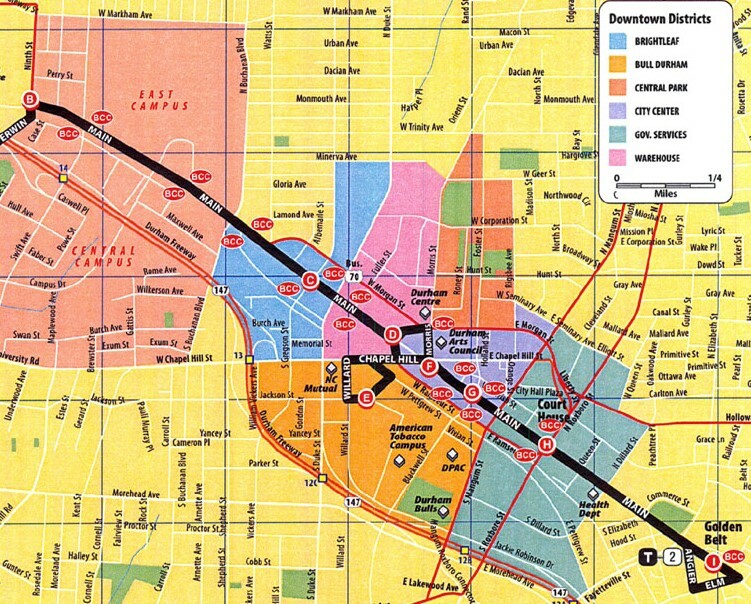 Approximately 10,000 of the 27,000 home sales were not able to be located on the 2004 TIGER/Line maps; these are homes that were built on streets that did not exist a decade ago. This introduces a significant potential for bias in the data, and a re-examination of this paper’s analysis with fully geocoded data may prove insightful. Summary statistics for the full and geocoded datasets are provided below. As expected, the geocoded dataset contains homes that are older, and as a result this reduced dataset contains homes with a lower average sale price, heated area, number of bedrooms, and number of bathrooms. The below graph and table show the data in both datasets distributed by sale year, both in terms of absolute sale numbers and as a percentage of the overall dataset. 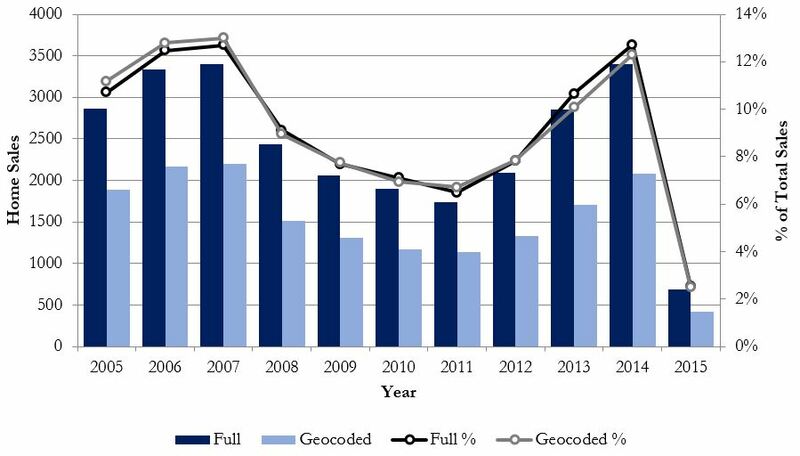 Even though the geocoded dataset skews older and cheaper, the proportion of sales occurring in each calendar year is still roughly the same as the full dataset, indicating that the geocoded dataset is still very similar temporally to the full dataset. The effects of the subprime mortgage crisis on Durham home sales can be seen in both datasets; sales in 2008 and the years following are clearly depressed compared to 2005 through 2007. There is also evidence for a strong recovery in the past few years, and 2014 sales were at approximately the same level as the 2006 and 2007 peak. The sale price, heated area (in square feet), and bedrooms term are straightforward. The β3 is for the “bedroom/bathroom differential” which is the absolute value of the number of bedrooms minus the number of bathrooms for a house. This was motivated by a model developed by the National Association for Home Builders (NAHB) that aims to estimate home values. As Emrath (2006) describes, their data indicated that home buyers tend to prefer a rough balance between the number of bedrooms and the number of bathrooms. If a home has more bedrooms than bathrooms, an additional bathroom will increase the value of the home by a higher percentage than if the differential were smaller. The β4 is associated with a dummy variable for whether a property has a garage or not. The results of this regression are below. The p-values for each of the variables is virtually zero. All else equal, an additional bedroom will add 15.3% to a home’s value and a garage will add 13.4%. The previously discussed bedroom/bathroom differential shows a fairly strong negative effect as expected. The NAHB model predicted that an additional full bath would add approximately 20 percent to a home’s value which is very consistent with the derived 19.8%. Heated area is measured in square feet and so an additional square foot has a very small positive effect as would be expected. To make sure that there were no abnormal price trends present in the dataset, I established a price index using the data. This index is graphed below along with the Case-Shiller national home price index and the Case-Shiller home price index for Charlotte, NC, the nearest metropolitan area to Durham for which an index is provided. For each month, the Durham index is calculated as the average price per square foot of single-family residential home sales in the past three months; the Case-Shiller indices use a three-month moving average as well. The Case-Shiller indices use repeat sales of the same home to track changes, but the Durham market is not large enough to create an accurate index using this same method. As seen in the graph below, however, the price per square foot measure for Durham roughly approximates the Case-Shiller indices, suggesting that Durham home values have followed the same trends as other North Carolina cities (Charlotte) and the nation as a whole. It should be noted that it is merely a coincidence that the Durham index is similar in magnitude to the Case-Shiller indices. This study analyzes the effects that the openings and closings of Walmart, Harris Teeter, TROSA Grocery, ALDI, and Save-a-lot grocery stores have had on nearby housing prices. The locations to be examined are listed below along with relevant dates. Other grocery stores can be found in Durham today, but the previously listed stores are the ones who have opened or closed stores in the past decade. 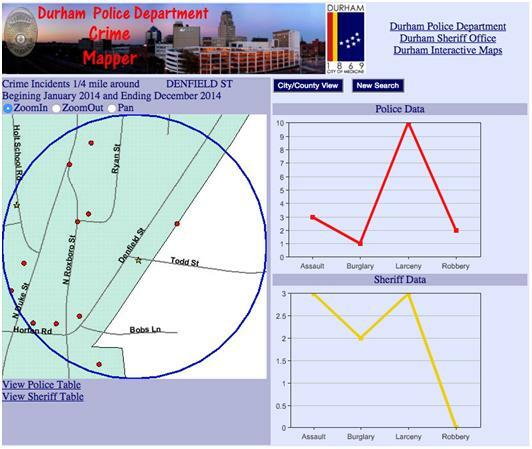 These locations were manually geocoded using Bing Maps. The logarithm of the sale price of a home can be explained through its property characteristics as previously defined and its geographic relation to a given store. Three indicator variables (D0.5, D1, D2) represent whether the given house is within 0.5 miles of a store, between 0.5 and 1 mile, or between 1 and 2 miles, and whether the home is between 2 and 4 miles away is the omitted indicator. Holmes (2011) in his research on Walmart considered a radius of two miles to properly constitute a store’s neighborhood, and this study will do the same for all the stores. The last group of homes 2 to 4 miles away will act as a control group for the homes inside the neighborhood that we are interested in examining. The variable Post represents whether the sale occurred after the opening or closing of the given store. A sale occurring before the relevant date will have the relevant indicator (D0.5, D1, D2) set to 1, and the interaction between the Post term and the indicator variables inside the parentheses will lead to the corresponding indicator becoming zero. A sale after the relevant date will have both indicator variables at 1, and so the estimates for the second set of spatial estimators ( ) will provide information on whether the store impacted housing prices. This study uses home sales two years before and after each store’s opening or closing. The difference-in-differences specification is used in order to remove the effects of omitted time-invariant variables that could bias estimates. Comparing homes sold before and after the store opening or closing allows one to more safely disregard neighborhood characteristics that would influence housing prices since these characteristics should more or less influence both the pre and post home sales in the same way. Holmes (2011) created and argued for a model in which Walmart stores are not placed based on characteristics of the nearby markets but rather on distribution and shipping costs. This would imply that the less than two and two to four mile ranges should be similar enough to properly control for broader housing market trends. For time-related variables, Figure 2 presented previously shows that the price per square foot for single-family residential homes in Durham has remained within a $20/sqft range for the past decade. While this is not an insignificant fluctuation, this index shows a reasonably flat trend as a whole so it is unlikely that including time-related variables would significantly influence the analysis. The results for the first Walmart store located at 1010 Martin Luther Jr Pkwy showed a positive 14.4% effect on homes 0.5 to 1 mile away and positive 8.3% effect on homes 1 to 2 miles away after the store was opened. The Walmart store located at 1525 Glenn School Rd showed no significant effects at any distance, both before and after the store opened. This means that the Walmart was placed into a neighborhood which was similar price-wise to its surrounding area and that the opening of the Walmart did not influence nearby prices. It should be noted that this Walmart featured fewer home sales in its relevant subset of the dataset; its opening was in 2009 during the housing crisis when fewer homes were being sold, and it is located in the northeastern part of the city which is less dense. This Walmart had 1343 sales within four miles in its four year window compared to 2281 for the first Walmart store. 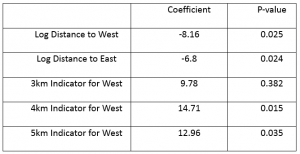 This smaller dataset perhaps contributed to the lack of significant coefficients found in the regression. The Walmart store at 3500 Roxboro Rd closed around the same time the previous Walmart opened. Before the closing, homes 0.5 to 1 mile away sold for 12.4% more than homes 2 to 4 miles away and homes 1 to 2 miles away sold for 23.0% more. 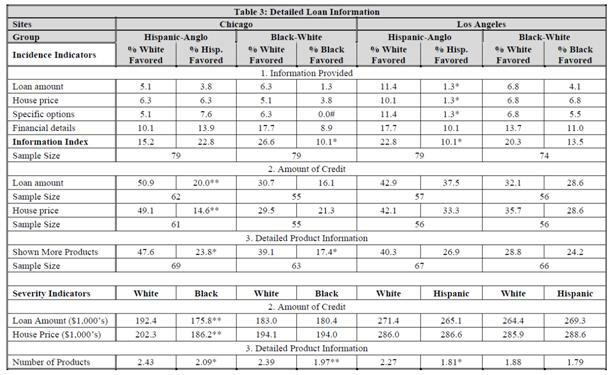 The coefficients associated with the post-closing indicator variables were not statistically significant, so the closing of the store did not change nearby housing prices from the previous baselines. Only one of the three Walmart stores openings/closings in Durham caused nearby housing prices to change, indicating that the positive average effects found in Pope and Pope (2014) are not necessarily applicable to the stores local Durham area. The three Harris Teeter store openings had significant results in terms of the neighborhoods they were placed in though none of the three showed any significant effects on nearby housing prices after the stores were opened. The Harris Teeter store at 2017 Hillsborough Rd was placed in a location where houses 1 to 2 miles away were worth 9.3% less than homes slightly farther away. The 1501 Horton Rd store was placed where homes 0.5 to 1 mile away were worth 10.2% less and homes 1 to 2 miles away were worth 9.2% less. The 1125 West NC 54 Hwy store was placed where homes 0.5 to 1 mile away were worth 11.8% more and homes 1 to 2 miles away were worth 8.5% more. While the coefficients are similar in magnitude, the differing signs suggest that there was no deliberate effort by Harris Teeter to locate its stores in certain kinds of neighborhoods. The regressions also show that none of the three stores had an impact on surrounding housing prices after they were opened. Homes near the first two Harris Teeter stores were still worth approximately 10% less and homes near the third store were still worth about 10% more. TROSA, Triangle Residential Options for Substance Abusers, Inc., opened a grocery store in East Durham, at 2104 Angier Ave, in 2010. East Durham is a significantly poorer area of the city, and the regression quantified this economic difference. Before the store opened, homes within 0.5 miles of the location were worth 74.7% less, homes 0.5 to 1 mile away were worth 70.0% less, and homes 1 to 2 miles away were worth 53.6% less as compared to homes slightly farther away. After the store opened, prices of homes within 0.5 miles fell 65.3% further, and homes 0.5 to 1 mile away fell a further 24.3%. Due to low traffic and high operating costs, the store closed in 2012. As expected from the previous regression, before the closing, the homes near the store were worth significantly less than homes farther away. After the store closed, home prices near the store actually increased; homes less than 0.5 miles away experienced a 35.9% increase from the previous baseline, and homes 1 to 2 miles away experienced a 33.3% increase. These results do not necessarily mean that the grocery store exacerbated the poor economic conditions of the East Durham area. The store was located two miles from downtown Durham, an area that has seen significant investment and growth in recent years. Since the control group for the regression uses home sales two to four miles away, increasing prices in the downtown area would lead to homes within two miles becoming worth relatively less. 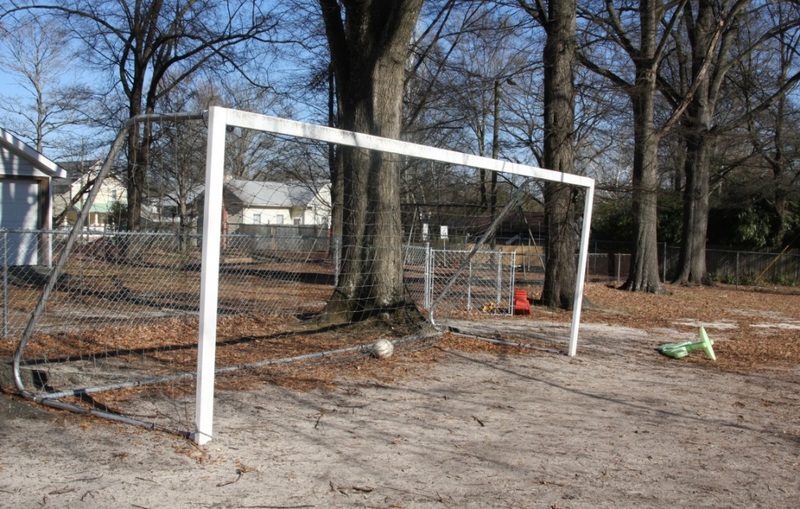 While the grocery store was the first in fifty years to open in the neighborhood, offering nearby residents a source of fresh produce within walking distance, these results show that any positive effects that this increased food access provided were not significant when comparing East Durham’s poor economic conditions to downtown. The ALDI store that opened at 7906 NC 751 South showed no significance for any of the distance indicator coefficients. This store is located near Southpoint Mall, and so it is unsurprising that the store opening did not change nearby housing prices given the very large number of shopping options already available in the area. 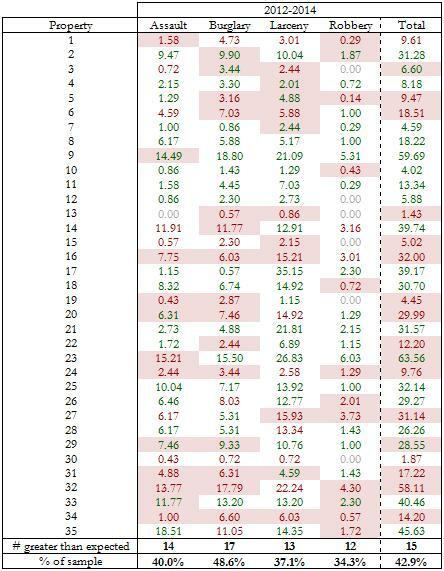 The regression for the Save-a-lot store opening was unique in that it showed significance for all of the distance coefficients. Before the store opening, homes within 0.5 miles were worth 75.6% less than farther homes, homes 0.5 to 1 mile away were worth 78.8% less, and homes 1 to 2 miles away were worth 8.4% less. Save-a-lot is located about a mile away from downtown Durham in the same East Durham area as the TROSA Grocery store was, and so these results make sense considering the much higher value of homes downtown compared to East Durham. After the store opened, homes within 0.5 miles experienced a 45.4% price increase, homes 0.5 to 1 mile away experienced a 33.2% increase, and homes 1 to 2 miles away experienced an 11.4% increase. It is unlikely that the opening of a single discount grocery store single-handedly led to these dramatic price increases, and so these results need to be interpreted with caution. We should note that the closing of the TROSA Grocery store led to similar increases; both the opening of the Save-a-lot and closing of the TROSA Grocery occurred in 2012, and we can hypothesize that East Durham experienced some sort of revitalization during this time that led to these results. 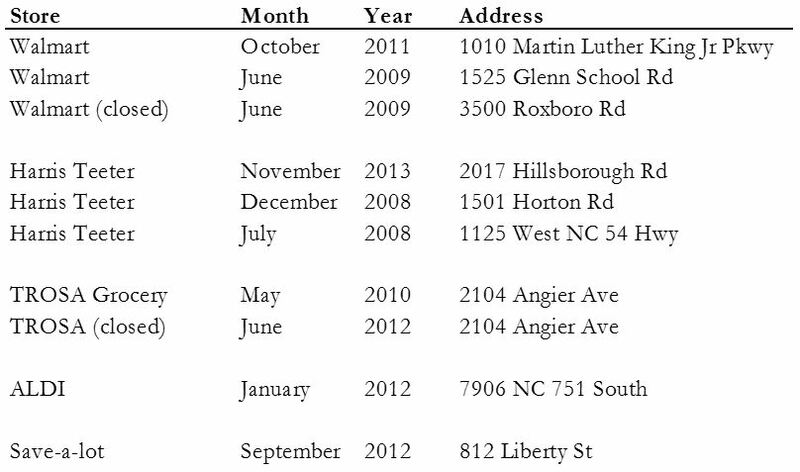 This paper shows varying results for the impacts of store openings and closings in Durham. While Pope and Pope (2014) found that new Walmart stores slightly increase nearby housing prices, this study did not find conclusive support for their conclusion. As a whole, the results for the different stores were difficult to interpret, and no retailer as a whole showed a definitively positive causal impact. This study shows that while there may be beneficial trends on a larger scale from introducing a new store into a neighborhood, the impacts of individual stores on home prices can be difficult to predict. Emrath, P (2006). “How Much is a Bathroom Worth?” National Association of Home Builders. 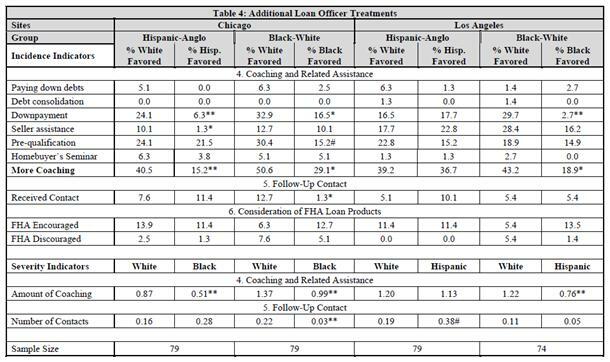 Retrieved from http://www.nahb.org/generic.aspx?genericContentID=62422. Holmes, M. (2011). “The Diffusion of Wal-Mart and Economies of Density.” Econometrica 79: 253-302. Pope, D. and J. Pope (2014). 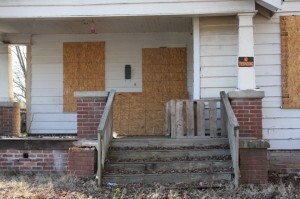 “When Walmart comes to town: Always low housing prices? Always?” Journal of Urban Economics 87: 1-13. As an urban planning concept, brownfield sites are lands formerly used for industrial or commercial purposes, but the subsequent redevelopment and expansion of these properties may be difficult due to potential contamination by hazardous substances. For instance, gas stations and scrap yards emit high concentrations of subsurface pollutants. If their operations close, the lots that these facilities previously occupied could lie unused for decades as brownfields. Once cleaned up, such zones can accommodate new businesses or serve as green spaces for recreation. Thus, the Environmental Protection Agency (EPA) has sought to empower local governments and community stakeholders to evaluate and remediate brownfields. Over the past 20 years, shifting market influences have dramatically impaired the City of Durham’s leading manufacturing industries. The collapse and flight to city edges of these industries gave rise to many brownfields—abandoned plots that historically accommodated manufacturing buildings, chemical facilities, railroad property, and automobile repair shops. In 2009 the EPA designated Durham, NC, as a recipient for two brownfields assessment grants: $200,000 for hazardous substances and $200,000 for petroleum. 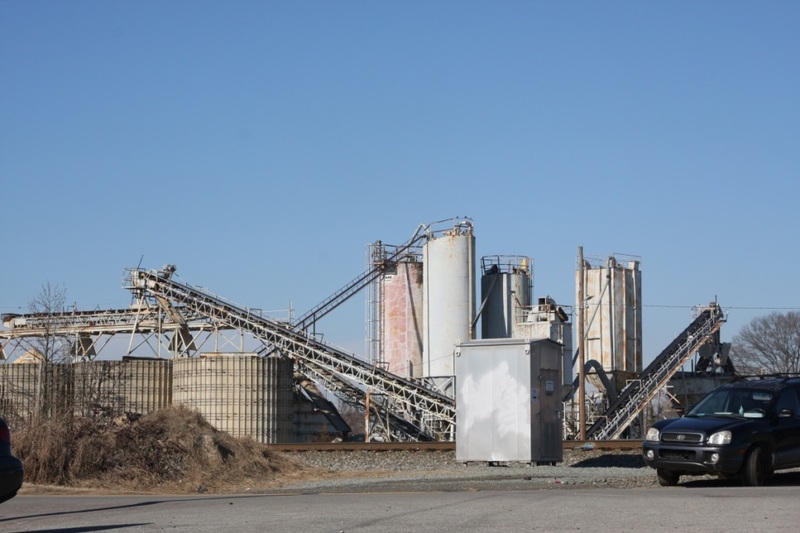 Throughout its EPA-funded reclamation efforts, Durham focused on properties in Northeast Central Durham (NECD), the primary locale for both vacant and currently functioning industrial facilities within the city. Since brownfields can be detrimental for human and ecosystem health, their presence likely has an adverse effect on the property values of neighboring houses. 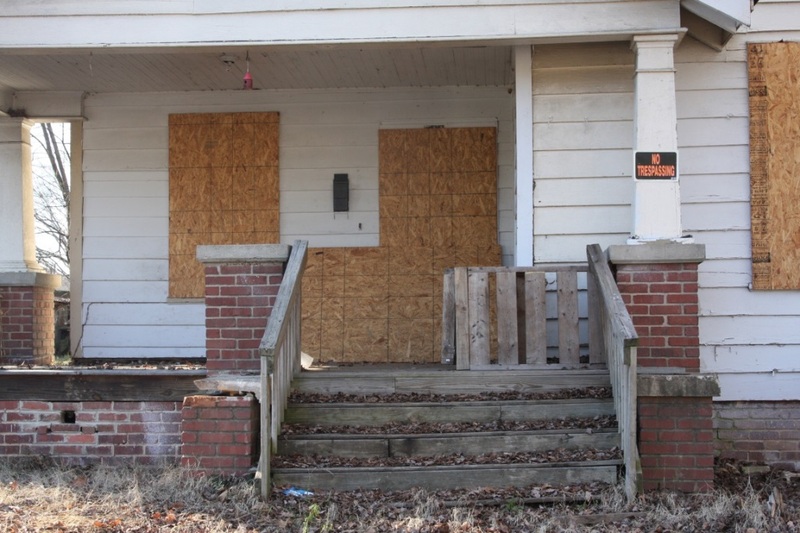 This paper delves into the predicted impact of brownfields on nearby residential housing prices in Durham. The analysis reveals that, with exception of three brownfield sites, mean sales price tends to be higher for single-family houses located farther away from a brownfield. In the case of eight out of 12 brownfields assessed in this study, average housing prices are 9% to 38% higher in the outlying, surrounding region than within 2,000 feet of the site. The trends in these data seem to correspond with earlier research that establishes brownfields’ negative effects on nearby property values. From a policy perspective, quantifying houses’ lost value due to proximity to brownfields relative to the costs of reclamation could make a strong economic case for granting additional funding toward remediation. Past studies, employing different hedonic model specifications, have gauged the effect of brownfields on adjacent residential property values in certain regions. For example, Mihaescu and vom Hofe (2012) use ordinary least squares (OLS), spatial autoregressive, and spatial error models to compute the impact of 87 brownfields on the values of nearby single-family homes in Cincinnati, OH, finding that a $100,000 house situated 100 feet from a brownfield loses approximately $9,000 in property value. However, Mihaescu and vom Hofe also estimate that brownfields’ depreciating influence becomes insignificant 2,000 feet past the sites. At this rate, Cincinnati effectively loses more than $2.2 million in annual tax revenue from aggregate decreased property values related to brownfields. Although other studies have previously shown negative impact on housing prices (Bromberg and Spiesman, 2006), Mihaescu and vom Hofe distinguish their approach from existing literature by accounting for trends of spatial dependence among assessed property values. Haninger, Ma, and Timmins (2014) determine brownfields’ impact from a different angle, by measuring the value of brownfield redevelopment as encapsulated in nearby housing prices. A simple comparison of regions with untouched brownfields and remediated brownfields can cause problems because the Brownfields Program gives cleanup grants based on a competitive procedure; therefore, communities that obtain funding may differ systematically from those that do not receive it. Haninger et al. overcome this issue by means of several fixed effects and ‘difference-in-differences’ (DID) specifications, which all generate a consistent solution—homes can undergo large observed rises in property values associated with brownfield remediation, ranging from 4.9% to 24.8%. Yet, this analysis has limitations in that its models cannot capture cleanup-related health benefits that local residents are unaware of and thereby are not reflected in house buying choices and prices. These benefits are best quantified in more environmentally-focused studies that demonstrate how remediating a brownfield helps to decrease harmful effects of the area’s soil, air, and groundwater pollution on human health as well as ecological systems (Alberini et al., 2005). Meanwhile, other analyses by Barnett (2006) and Amekudzi et al. (2003) show remediation’s positive economic impacts in form of increased local employment and greater tax revenues, in addition to higher property values. To study the extent of association between brownfields’ presence and housing prices, I use publically available data provided by Concurrent Technologies Corporation (CTC), a company that, among other services, offers brownfields redevelopment consulting. The CTC listings give locations (either street addresses or approximate intersections for larger land parcels), acreage, property descriptions, and histories of the brownfields. Specifically, I identify 12 properties in NECD and the Pettigrew Street Corridor currently under assessment for possible participation in the EPA grant system. These properties range from small vacant lots to multistory buildings. 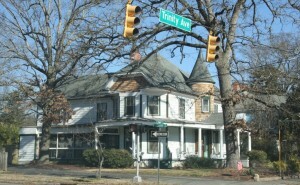 As an example, one of the brownfield sites, located on 200 East Umstead Street, formerly served as the building for J.A. Whitted Junior High School. Although an abandoned school is a disamenity for reasons unrelated to environmental hazards, J.A. Whitted is nevertheless included in the CTC listings due to its high difficulty of redevelopment. The three-story, 73,500 square foot facility has been sitting vacant since 2004; a glance on Google Maps reveals fading school letters and boarded windows. For each of these 12 potential brownfields, I collect sale price information on a total of 204 neighboring houses from Zillow, an online real estate databank. The analysis includes prices of homes currently for sale, along with potential sale prices of properties that may be emerging on the market shortly but do not appear yet on multiple listings service. Using satellite imagery, I begin by pinpointing the center of a Durham brownfield site, which by itself can span almost the entirety of one block. After finding the midpoint, I mark a circular zone with a 2,000 feet radius on the Zillow map, making sure to scale accurately. Properties within this first zone lie within 0.4 miles of the brownfield. I also trace a larger circle with a radius of 3,000 feet; all properties in the second zone sit within 0.6 miles from the site. I then use these demarcations to compare property values of (1) houses within 2,000 feet of the brownfield and (2) houses situated 2,000 to 3,000 feet away. I calculate the mean sales price of all properties within each zone and subsequently use the two averages to compute the percentage change obtained by moving from the inner circle to the outer one. Both intuition and prior studies suggest that properties in the closer zone will be more affected by the brownfield; my rationale behind selecting 2,000 feet as the comparison boundary stems from the aforementioned study by Mihaescu and vom Hofe, which estimates that brownfields’ impacts become negligible beyond 2,000 feet. When observing differences in residential property values, it is important to consider potential biases due to spatial dependence among housing prices. While a hedonic pricing approach can address this issue through certain econometric techniques (e.g., spatial autoregressive models), I attempt to minimize spatial externalities via the grouping design. Since most properties in the analysis lie within a 0.6 mile radius of each other and are thus situated in the same part of town, they largely encompass similar economic conditions and housing quality levels. By assuming spatial characteristics remain fairly constant within a small area, this analysis offers groundwork for more complex future research. Data findings indicate that, with the exception of three Durham brownfield assessment sites, average sales price tends to be consistently higher for residential properties situated 2,000 to 3,000 feet away from a brownfield. For eight of the 12 brownfields evaluated in this study, mean housing prices are 9% to 38% higher in the outer zone than within 2,000 feet of the site. The patterns in these data seem to be in line with prior studies demonstrating brownfields’ negative impacts on nearby property values. However, this type of study cannot isolate brownfields’ effects from other potential causes of the difference in average housing prices. For example, if the local government prefers to invest in land redevelopment in areas that seem to have high promise of new business development, the fact that these brownfield sites have not already been remediated could indicate lower neighborhood quality. Moreover, a closer examination of observations that deviate from expected outcomes can be insightful as well. For instance, houses farther from the ‘Eliot Square Apartments’ brownfield surprisingly cost 23% less on average than those adjacent to the site. However, a satellite image of the site reveals that it simply looks like a large, overgrown grass field—pleasant overall, although strangely vacant compared to all the nearby land occupied with buildings. 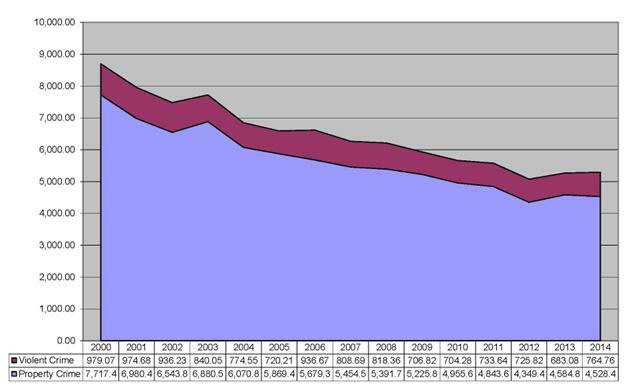 Previous research has demonstrated that property values can only capture brownfields’ negative externalities to the extent that local inhabitants are aware of them and can thus incorporate these externalities into their willingness to sell or buy a property at a given price (Haninger, Ma, and Timmins, 2014); in this light, the trend reversal at Eliot Square Apartments makes sense, especially given that the First Baptist Church and Durham County Library are located one block away from the seemingly innocuous cleared grassy lot. On a similar note, the Ridgeway Avenue Property (percentage change: -2.5%) appears from Google Maps street view to be a small, paved vacant area next to a convenience store. Since this brownfield does not look like an environmental disamenity to passersby, its presence hardly factors into nearby residential property values. 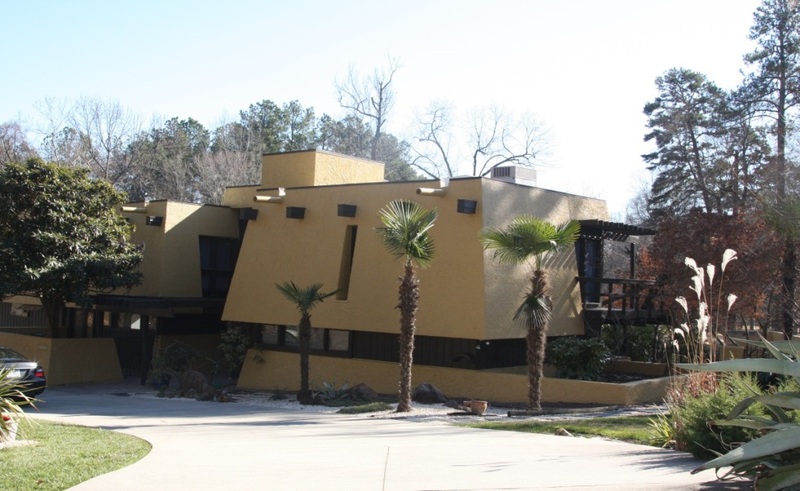 On the other extreme, houses on sale near former J.A. Whitted Junior High School are on average almost 40% less expensive than homes farther from the site. As mentioned, the abandoned multistory building is conspicuous and visibly rundown; its appearance is consistent with the earlier explanation that, when residents are cognizant of the brownfield, property values are more affected. Nevertheless, a discrepancy of 40% still seems very high, resembling an outlier. Further scrutiny shines light on a potential influence: a newly renovated neighborhood three blocks away on Chestnut Street (i.e., 2,000 to 3,000 feet from the site) currently has pre-construction sales on four well-built houses, each posted at a price from $180,000 to $299,000. This study reveals a negative association between the presence of brownfields and adjacent residential property prices in Durham, hence corroborating earlier research on this significant urban planning issue (Schwarz et al., 2013; Watkins, 2010; Attoh-Okine and Gibbons, 2001). 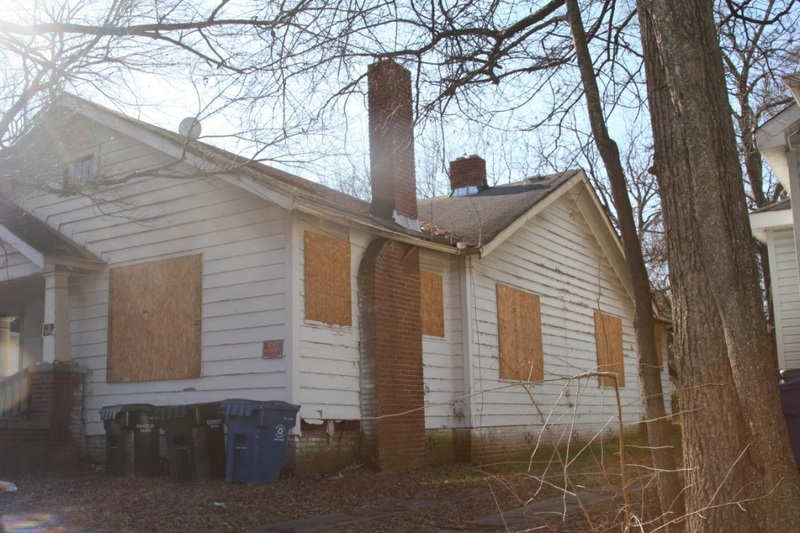 However, rather than establishing a cause and effect relationship, the analysis is intended to serve more as a broad introductory survey of patterns in housing values surrounding Durham’s brownfields. Though most sample zones in the study share consistent socioeconomic conditions and housing qualities within the group, a main limitation involves the lingering possibility of spatial correlation. Real estate data commonly contain spatially dependent property values, meaning that high-priced homes tend to group together, as do low-priced homes. Conventional real estate wisdom discloses that expectations on price often develop based on neighboring housing values (Wang and Ready, 2005); even a single neighborhood block could experience spatially correlated prices among its row of houses. Furthermore, since this study is a descriptive survey on brownfields and housing prices in Durham, any underlying factors that affect property value cannot be fully captured by comparison of averages. Therefore, future research could reduce bias and increase predictive power by employing spatial hedonic pricing models—which can be suitably applied to variations in housing prices that reflect the value of a local environmental amenity, or in this case, disamenity. Later studies can also improve upon the analysis to distinguish between different stages of brownfield remediation at various Durham sites. Investigations of this nature can have immensely beneficial policy implications. The ability to effectively demonstrate brownfields’ negative impact on surrounding communities could raise governmental and private sector incentives to invest in revitalizing ecologically and financially troubled areas. 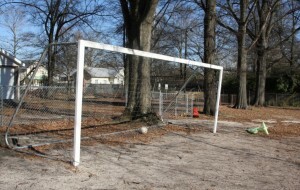 “Brownfields 2009 Assessment Grant Fact Sheet Durham, NC.” Brownfields and Land Revitalization. Environmental Protection Agency, <http://cfpub.epa.gov/bf_factsheets/gfs/index.cfm?xpg_id=6952>. “Brownfields and Land Revitalization.” EPA Brownfields Program Benefits. Environmental Protection Agency, <http://www.epa.gov/brownfields/>. “Durham Brownfields: Properties.” Durham Brownfields: Properties. Concurrent Technologies Corporation, <http://www.ctcbrownfields.com/durham/properties.php>. Haninger, Kevin, Lala Ma, and Christopher Timmins. “Estimating the Impacts of Brownfield Remediation on Housing Property Values.” Duke Environmental Economics Working Paper Series (2012): 1-66. Linn, Joshua. “The Effect of Voluntary Brownfields Programs on Nearby Property Values: Evidence from Illinois.” Journal of Urban Economics 78 (2013): 1-18. Mihaescu, Oana, and Rainer Vom Hofe. “The Impact of Brownfields on Residential Property Values in Cincinnati, Ohio: A Spatial Hedonic Approach.” The Journal of Regional Analysis and Policy (2012): 223-36. Schwarz, Peter M., Gwen Gill, Alex Hanning, and Caleb A. Cox. “Estimating the Effects of Brownfields and Brownfield Remediation on Property Values in a New South City.” Verifying the Social, Environmental, and Economic Promise of Brownfield Programs (2013): 1-40. Wang, Li, and Richard C. Ready. “Spatial Econometric Approaches to Estimating Hedonic Property Value Models.” American Agricultural Economics (2005): 1-49. Watkins, Stefan. “The Impact of Brownfield Reclamation on Surrounding Land Values and Crime.” (2010): 1-18. “Zillow: Real Estate, Apartments, Mortgage & Home Values in the US.” Zillow. <http://www.zillow.com/>. This paper investigates the association between apartment rental prices in Durham and their linear distance to Duke University. Considering the substantial role Duke plays in the economic activity and housing demand, in particular that of apartments, in the city of Durham, one would expect a positive relationship between proximity to campus and the rental price of apartments. This paper aims to quantitatively examine whether or not such a relationship exists. While not impossible, a comprehensive quality-adjusted approach to apartment prices for Durham apartments involves the matching of several datasets and is not utilized in this paper. An alternative is found in online ratings of apartments provided by review sites. Ideally, these reviews are proxies for the relative quality of accommodations and services of each given apartment. Once matched for distributions of ratings on different websites, average scores can be seen as directly comparable between apartments. Potential correlation caused by a bias towards higher quality closer to Duke’s campus because of the higher endowed wealth of Duke students, or lower quality caused by their bad behavior, can be accounted for using an interaction term. An initial model is established using only apartment distance to Duke University as the dependent variable. Apartment listing prices are collected from Apartmentguide.com and separated by room class: one, two and three-bedroom offerings are counted separately, with maximum, minimum and average listing price for each room type provided. A mean price for each room type is calculated by taking the average of the maximum and minimum prices – note that this may not be an accurate estimate, since the composition of apartments by price for each room type is unknown. Distance values are estimated using a linear point-to-point approach. Apartment locations are obtained using the Bing Map geocoding API, and the East/West campus bus stops are used as point proxies for the two campuses, respectively. A third estimate uses the shorter of the two distances to the campuses. 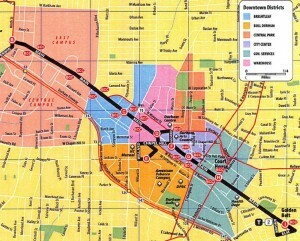 This allows for the possibility that because of the extensive public transit options between East and West, individuals may not have a particular preference for one campus but simply desire to live closer to one of the C1 bus stops. For the regression model, natural log transformations are applied both to listing prices and distance estimates. A fairly strong association has been found between the prices of most of the room types and all three distance estimates. The strongest association occurs between the price of double apartments and their distance to West Campus, with a doubling of distance translating into a price decrease of 5.1%. All three regressions using the price of double apartments reports significance over 95% when regressed against distance estimates. The association between price of single apartments and distance is significant at the 90% level for both the distance to West Campus and the minimum distance estimate to both East and West Campus. One could speculate that single rooms, being not only more expensive but also less conductive to a social lifestyle, are not as preferable to Duke students as double rooms, leading to the weaker price association. Interestingly, the link between price of triple apartments and distance to campus is much weaker than that of double and single apartments. No distance estimate seems to be even slightly correlated with the price of triple apartments. Part of this could be explained by the relatively few number of apartment buildings that offer triple rooms. However, it is also possible that since triple room represent an inferior good compared to single or double rooms, Duke students with high average spending power would typically not choose to live in them. 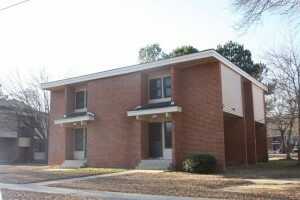 Some students might move off campus to escape a triple or double dormitory and have little interest in similar living conditions. 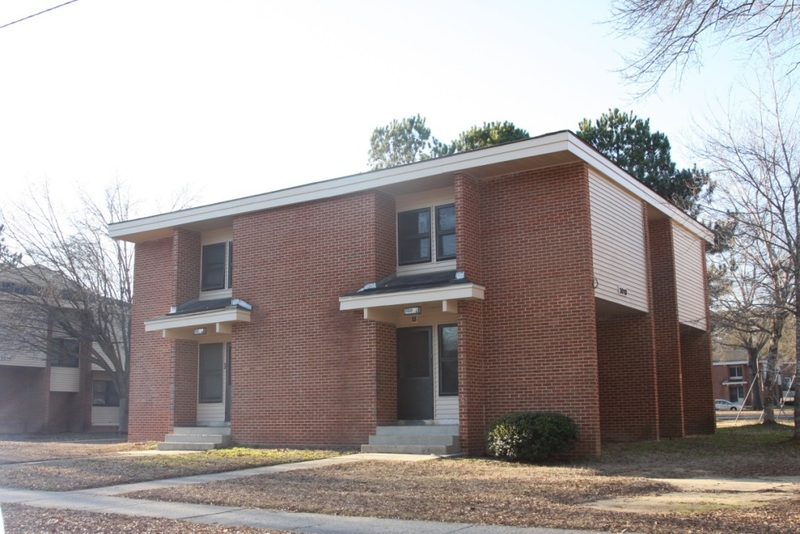 It could also be possible that local families unaffiliated with Duke University are more likely to occupy the large units, in particular three-bedroom apartments. 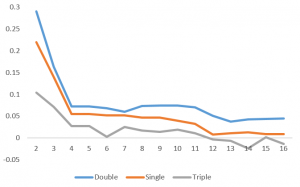 A possible way to indirectly check the validity of this explanation is to see if triple room-offering apartments are, on the average, further away from Duke than single or double apartments. If students don’t care for triple-room apartment, they ought to be distributed more randomly in Durham and be, on average, further away from the Campuses. However, this does not seem to be the case for the apartment sample in the dataset. The average distance to West Campus for all apartments offering triple rooms is 9.01 kilometers, closer than the figures for apartments offering single and double rooms (9.07 and 9.35 kilometers, respectively). The average distance to East Campus displays a similar trend, at 8.33 kilometers on average for apartments that offer triple rooms, 8.58 kilometers for apartments that offer single rooms, and 8.87 kilometers for apartments that offer double rooms. It is also possible that the price response of distance is not only non-linear but also somewhat binary in nature. Intuitively, apartments beyond a reasonable walking range will only be marginally affected by extra distance: the extra mile should matter very little if one has to drive to school anyways. To test this, dummy variables indicator certain levels of proximity to West Campus, starting from closer than two kilometers, were regressed against prices of double apartments. 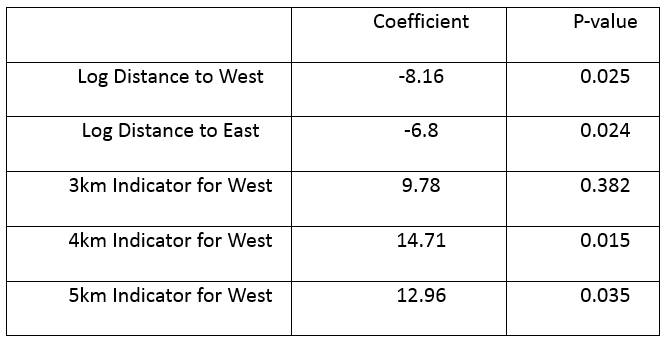 Indicators at the 2,3 and 4-kilometer level report significance at greater than 95% levels, while all coefficients of indicators until 14 kilometers show significance at greater than 90% levels. Double apartments that are closer than 2 kilometers to campus show a substantial, 28.9% price premium over those that are further than 2 kilometers away from campus. Double apartments that are closer than 3 kilometers to campus have a 16.3% premium. However, there is also a premium of 4-7% (6.2% on average) of apartments closer to campus than a range of distances from 5km to 15km. A potential explanation for this behavior is that apartments very far away from campus are so grossly inferior in quality terms that everything else offered seems better in comparison. This does not seem likely, but a positive association between quality and distance might exist simply because the presence of Duke raises surrounding land prices and makes low-quality, low-margin apartments less profitable. Being far from Duke may also mean being far away from downtown Durham, which in itself implies a number of other negative influences on price. A third explanation is that even if an apartment is beyond walking distance to Duke’s campus, there can still be indirect benefits from being somewhat close to Duke. Better policing, the coverage of Duke transit systems, short driving distances to the Duke Hospital might all be factors that play a role in prices of apartments beyond the walkable range. One issue to consider is that positive price effects of larger radii are much weaker with regard to single apartments and virtually nonexistent for triple apartments. Single apartments closer than 2km and 3km to West Campus enjoy a 22% and 14% respective price premium, which is comparable in absolute terms with those of double apartments. However, when the indicator search radius is expanded the positive price effect quickly disappears. Using search radii of 11 and 12 kilometers, double apartments within the radius enjoy a 7% and 5.1% price premium compared to those that are outside, both significant at the 90% level. Single apartments within the same radii, on the other hand, only enjoy a 3.3% and 0.8% price premium. Neither of these relationships are statistically significant. No regression model with triple apartment prices reports statistical significance at the 90% level, although the 2-kilometer indicator represents a 10.4% price premium (P=0.47) for triple apartments. Concluding the results thus far, all three apartment types show some level of response to difference distance gradients. Prices of double apartments are the most responsive, while evidence for price responses of triple apartments is somewhat weak. If we take the average price premium level for double apartments between 5-16 kilometers as reasonable expectations for price of a resident not living within walking distance to campus, then the model suggests that compared to not being able to walk to school at all, living closer than two kilometers to west campus comes with a price premium of 22.7%. Living closer than three kilometers has a relative premium of 10.1%. The same respective rates for single apartments are 18.5% and 10.5%, and for triples 9.5% and 6.2%. However, the triple apartment figures are not statistically significant. To further develop the model, online ratings of apartments are added in as a control variable. Ratings are collected from several websites and matched by average value and standard deviation. Ratings from different websites are aligned not by absolute score but by standard deviations from the mean, capped at 0 and 100. Apartments with fewer than five ratings for all websites aggregated are not considered in the dataset to avoid misrepresentation. 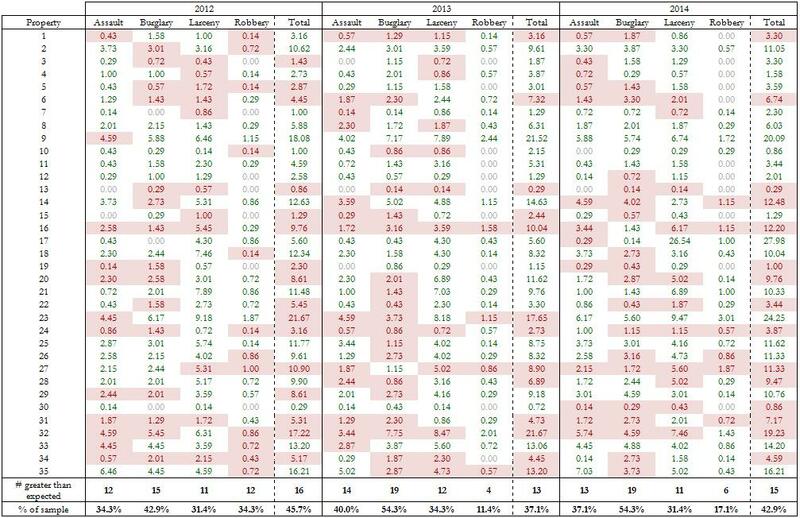 Apartments with ratings from multiple websites have a composite score derived by first matching scores by mean and SD and then averaging over all scores. Unfortunately, not all apartment groups in the dataset have at least five ratings. Out of the 238 total observations with price data and 119 total observations with at least five reviews, only 89 observations have both price data and the minimum number of rating scores. Scores are tallied at a maximum of 100 and minimum of 0, with an adjusted average score of 55.7 out of 100 for the 89 usable observations. The 25th percentile score is 35 and the 75th percentile score 84.3. With the inclusion of ratings as a control, no distance gradient terms in any of the regression models report statistical significance above 90%. This is the case for all three distance estimations, three apartment types and radii 2 – 6 kilometers. Distances terms remain below the 90% level of significance after adding in an interaction term between distance and ratings. 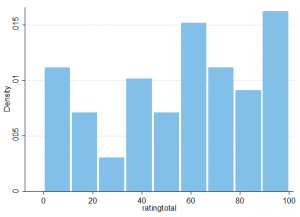 However, the coefficient of the ratings term is highly significant for all regression models. 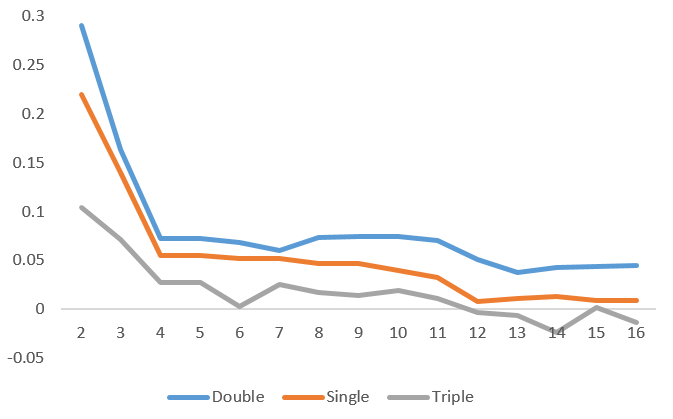 Regressing only the ratings term against price of single, double and triple rooms results in strongly positive connections. For 10 extra points in the rating score, there is a price premium of 1.82%, 1.81% and 1.13% for the three room types, respectively. Note that these effects are weaker than those associated with distance to campus. The reduction of statistical significance in distance gradient coefficients after introducing ratings as a control suggests a relationship between distance to campus and ratings. This can be demonstrated by a variety of metrics. Using the full, 119-observation dataset of apartments with ratings, the correlation coefficient between average review score and log-distance to West campus and East campus is -0.206 and -0.207, respectively. Modelling distance preferences using a natural log transformation, a doubling of distance to West Campus results in an average expected rating decrease of about 8.2 points. However, it must be noted that this association is rather weak considering the large spread of apartment ratings, which reports a standard deviation of 30.6 points. The association between distance gradients and ratings can be explained in several ways. The obvious rationale is that raters are taking distance into account when giving scores, boosting the scores of apartments closer to campus. It is also possible that there is an inherent bias in apartment quality, with higher quality apartments generally being built closer to campus. If Duke students do actually have higher spending power than the average apartment resident in Durham, developers could be selectively offering high-quality, expensive apartments at locations closer to school in response greater demand. Even if apartment quality is not inherently associated with distance, students could be on average less responsive to quality differences. This could be the case either because most students know that they will be moving out in the near future (upon graduation) and have little concern for quality factors, or because their social lives are centered on Duke’s campus regardless of how far away they live. If apartments closer to Duke have larger student populations that only view the apartment as a place to shower and sleep, scores of bad apartments close to Duke could be buoyed even if such groups do not care about distance. It is not difficult, at least in principle, to test for these explanations. However, currently available data do not offer a straightforward way to introduce controls beyond rating scores. Several websites do offer extra information about size and amenities, but the total number of observations in the dataset that have such information is small. Future research on such issues could focus on the obtaining of apartment quality data and geospatial quality variables such as crime rates and distances to public utilities. The distance estimate itself could also be improved, for example using actual walking/driving distance estimates instead of linear distance to campus. It might also be useful to model Duke Campuses as shapes with different points of priority (bus stops, Bryan Center, etc.) instead of a single point. In conclusion, this paper has provided evidence of distance gradient effects on apartment prices in Durham. On average, a 100% increase in linear distance to west campus results in a 3.6% price decrease for single apartments and a 5.1% price decrease for double apartments. Using distance indicators, being within 2 kilometers of the west campus bus stop translates to a substantial, 22.7% price premium for double apartments and an 18.5% price premium for single apartments. The same figures derived with a 3-kilometer radius estimate are 10.1% and 10.5%. There is also evidence of a negative association between rating scores of apartments and their distance to campus. For a doubling of distance to West Campus, ratings scores decrease by approximately 8.2 out of 100 or 0.27 standard deviations. Only 142 apartments out of the 238 listings in the dataset offered triple rooms. In contrast, 228 apartments offered double rooms and 212 apartments offered single rooms. The 2km-radius indicator is not used here because only 2 apartments out of the 16 observation within the 2km radius have at least five reviews.